Different areas of corrosion are shown on an older port fender system. Corrosion generally is defined as the deterioration of a material, often a metal, from a reaction with its environment. The basic cause of metal corrosion is the instability of metals in their refined forms: metals tend to revert to their natural states through the processes of corrosion. As an example, when rainwater contacts iron, it forms rust, and this rust – or iron oxide – is the original state of iron found in iron ore. 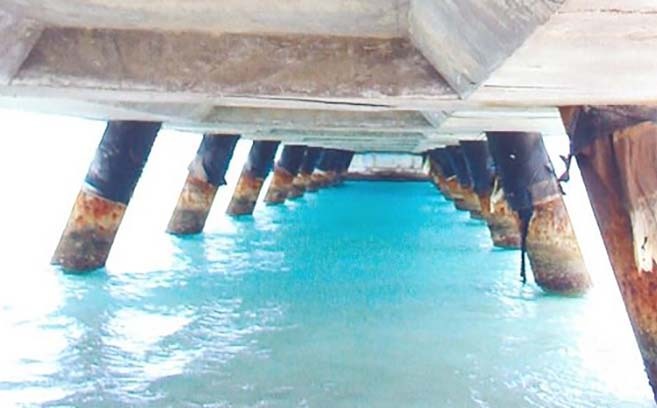 Since vessels and marine structures – metal as well as concrete and wood – are routinely exposed to extremely corrosive environments, corrosion control is of great concern to the maritime industry. In fact, the National Association of Corrosion Engineers has estimated the cost of marine corrosion worldwide at between $50-80 billion a year. 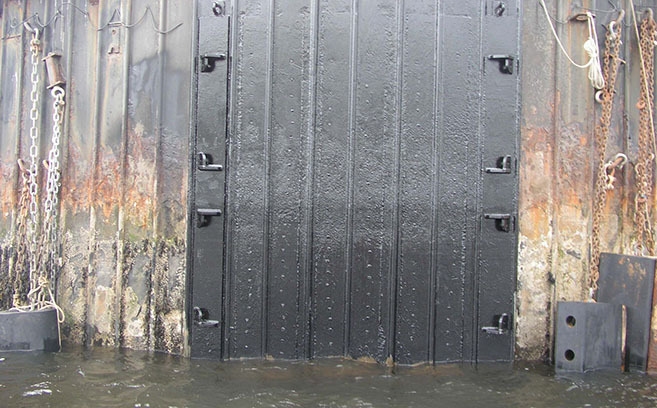 Do you have a marine corrosion problem that needs attention? Check out our qualifications and contact us today! 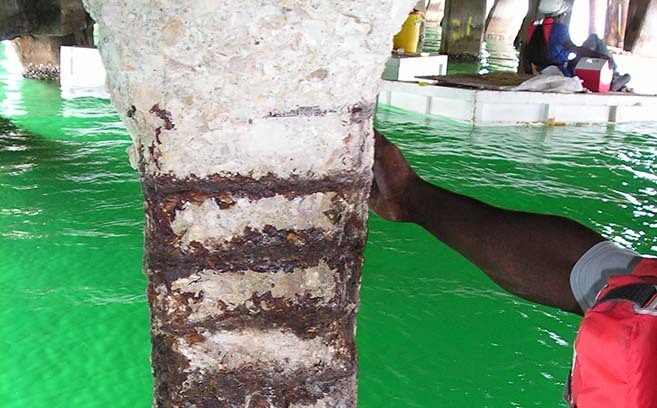 In the marine environment, many types of corrosion can affect structures and vessels. Concrete, a complex composite material, has low strength when loaded in tension. 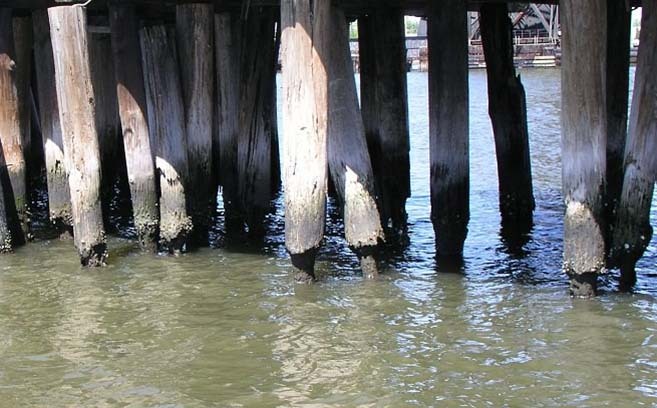 Wood structures are subject to various types of damage in the marine environment, mostly biological.